Directed by Michael Apted and Paul Almond. Now playing. It's been said before, but Michael Apted's Up series is a completely unique and remarkable documentary project. When Paul Almond of London's Granada Television made the original Seven Up! in 1964, it had multiple objectives. By interviewing fourteen seven-year-old children from a variety of backgrounds in different parts of England, the proposed series — which was to revisit the subjects every seven years to check on their progress — aimed to observe how much Britain's then-rigid class system would determine the fortunes of a group of fresh-faced, hopeful kids, who answered questions with the sort of heart-breaking sincerity only a youngster could muster. The human-interest factor, however, proved stronger still. As time passed and Apted — now based in Hollywood — took over the project beginning with 7 Plus Seven (1970), viewers had formed attachments to the children, then in the midst of their uniformly awkward adolescence. That identification only strengthened as the series wended its way through their lives. Only one of the original fourteen dropped out of the film series completely. 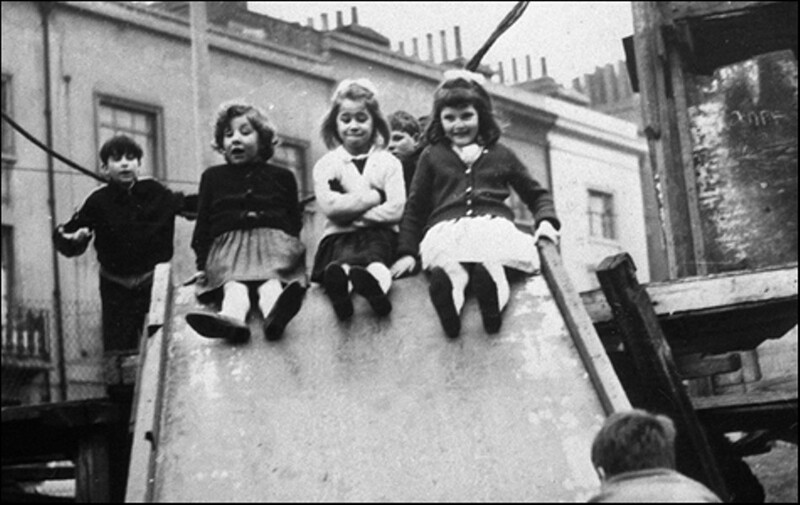 The talkative East End Cockney kids — Jackie, Lynn, and Susan, plus irrepressible jockey/taxi driver Tony — had a natural effervescence that was easy to relate to. Whatever happened to them, they could deal with it. Ditto Nick, a frank and amiable Yorkshire farm lad who eventually moved to the US and became a nuclear physicist. We had worries, though, about Paul and Symon, a pair of disadvantaged boys being raised in a youth home. And we were definitely fearful for Neil, a solitary, preoccupied young chap with suicidal thoughts. Neil had a checkered career as a squatter and drifter, but then, abruptly for us who visited him only every seven years, entered the world of local politics. Now, in 56 Up, all thirteen of the participating subjects are alive and reasonably well adjusted. We're relieved. Not a true tragedy in the bunch, and more than a few gratifying stories. Through this emotionally involving real-life film, we've taken a stake in the fortunes of people we otherwise might never have met. Isn't life strange?